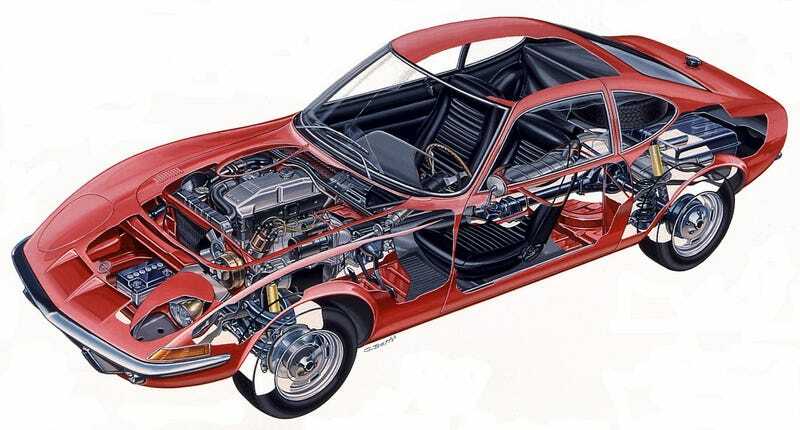 The design of the classic Opel GT was championed by a guy who worked on the C3 Corvette design with Bill Mitchell. That’s why it looks like a 4/5th scale Corvette with a tumour. A while ago myself and Stan, who runs Classic Cars of Toronto, found a ragged one for $4k. The idea has been growing on me. Stan snapped these shots of it when we checked it out. It has rust in bad places, gasoline POURS out of the pump when it’s running and it hasn’t been on the road in years. I still want it just to be able to park it next to the Corvette.